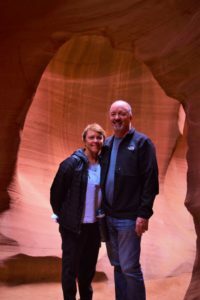 As we made our way north from Sedona we decided to breakup our drive with a stop at Antelope Canyon and an overnight in Monument Valley. 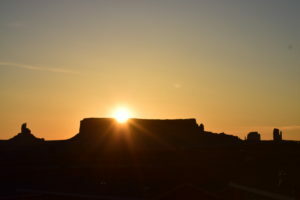 We first looked at a guided day trip to Antelope Canyon from Sedona but the expense and distance did not make sense as we would be driving north anyway to our ultimate destination of Crested Butte Colorado for some skiing with Cap and Jake. If you don’t know Cap and Jake just click on the “Who are the Turners” tab above. 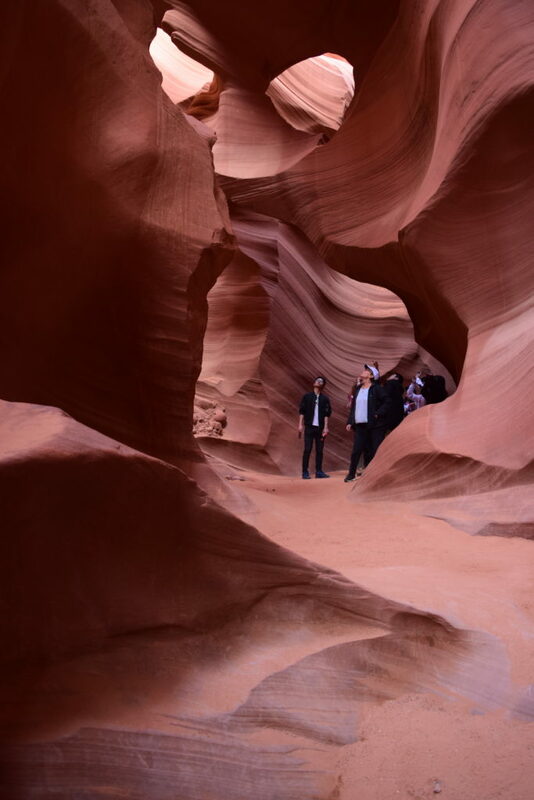 From Sedona, tour companies are happy to pick you up and drive you to Antelope Canyon three hours north and then return you to Sedona for $200 per person. We decided to drive ourselves and spend only $40 for a tour of Antelope and then continue on to Monument Valley for the night. 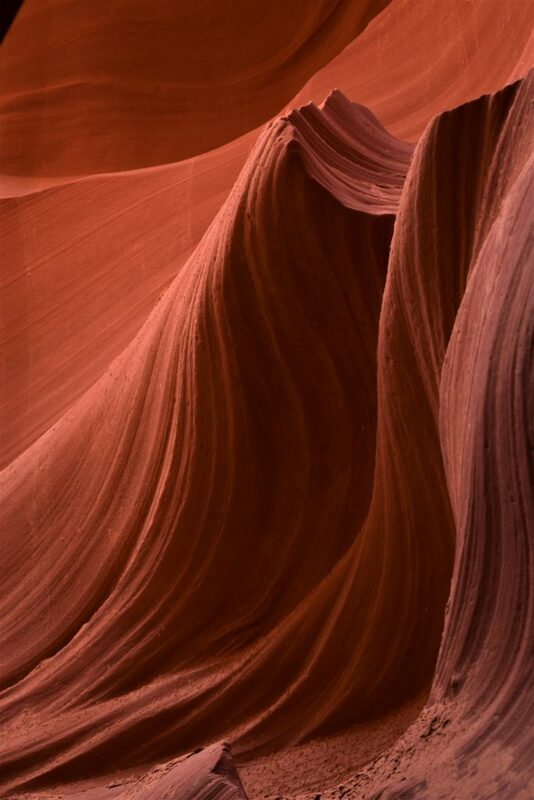 Antelope Canyon sits on the Navajo reservation. 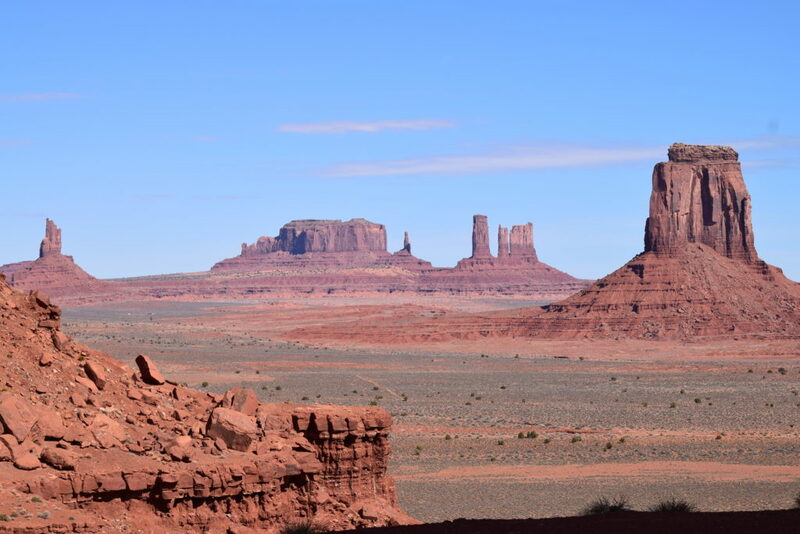 This natural wonder was first discovered in 1931 by a Navajo girl herding sheep. It is now one of the most toured and photographed locations in the world. Their are two sections to the canyon, the upper and the lower with different Navajo tour companies running operations in each section. We toured the lower Canyon with Dixie Ellis only because I had heard that it is less crowded. As we did not tour the upper canyon I cannot tell you which is more crowded but our 30 minute time slot had about fifty people which they divided into groups of 10. It was no problem making reservations a few days prior to our visit. You can only tour the canyon with a guided tour. 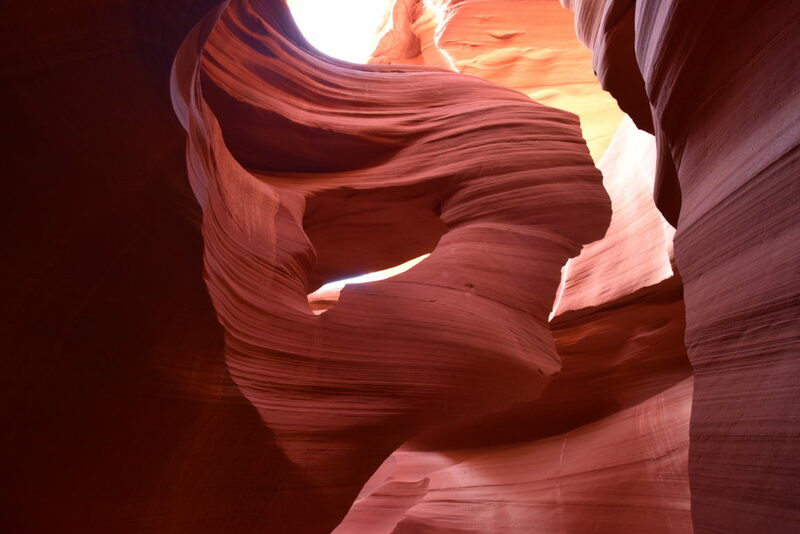 We booked with The canyon is located about 15 minutes from the town of Page, Arizona. After checking in we were placed in groups of 10 and assigned a guide. Our Navajo guide was Dawn, a young woman who had grown up on the reservation in a home with no running water or electricity. 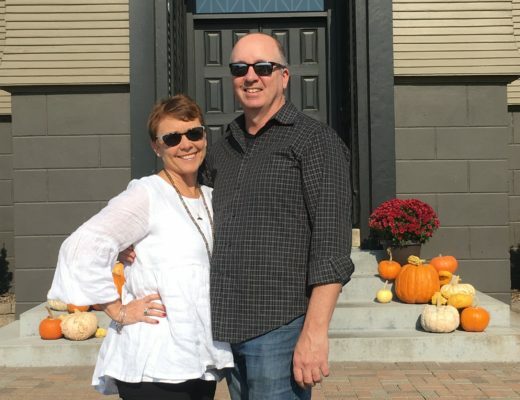 She explained it was quite a culture shock when she moved to town for school but quickly adapted to modern conveniences. 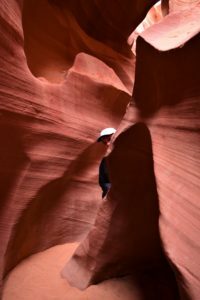 She expertly explained the best iPhone settings for photographing the canyon. From ground level the canyon looks like any other Arizona wash, which is a dry creek or river bed that flash floods in the rainy season. Descending down stairs into a crack in the ground you enter a subterranean world of amazing beauty. Again, it is difficult to capture the experience in a picture. At the same time it is almost impossible to take a bad picture. And as always, my limited vocabulary fails me. The Canyon, like many of the sights we have seen, simply cannot be adequately described with words. Get out there and see it for yourself. 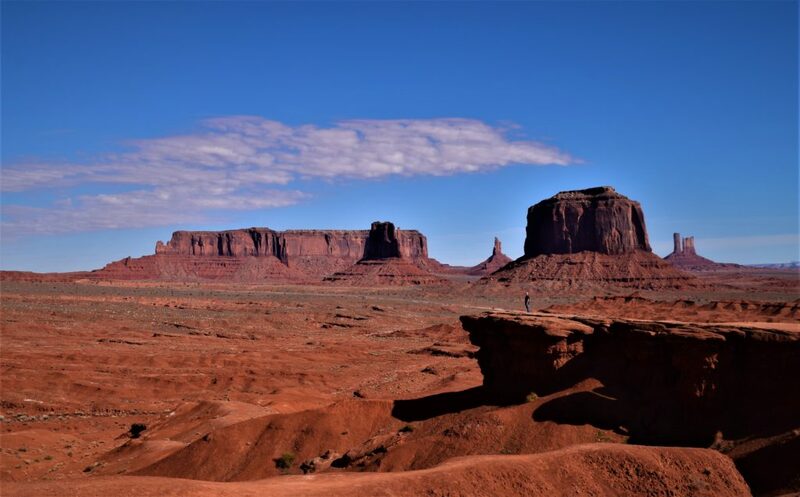 After touring Antelope Canyon we drove another two hours north to Monument Valley which has been featured in dozens of movies from John Ford westerns like Stagecoach to Forrest Gump. 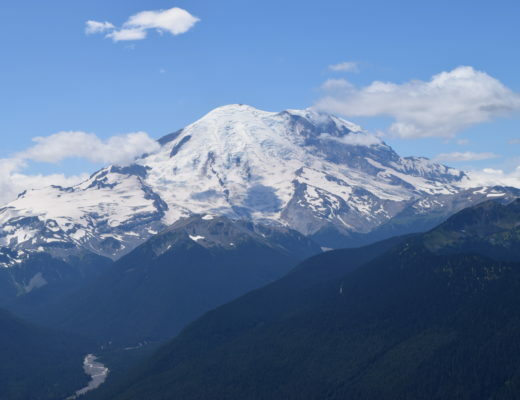 The valley is iconic and again, words fail to convey its natural beauty and grandeur. Our planned stay in the valley was rather last minute but we were able to book a “Villa” at Gouldings, a rustic resort that sits a few miles from the visitors center. Our “Villa” which was a double wide trailer was very nice. Clean, new, spacious and comfortable with a nice view of the Valley. The cost was about $165. The Gouldings restaurant served a nice dinner at a reasonable price but I would not visit for the food. Similar to the food in our National Parks you are not visiting for the dining experience. We arrived in time to watch the sunset and the super-moon rise over the valley. Absolutely spectacular. 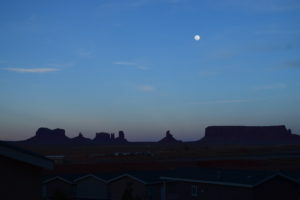 That being said, if you book in advance I would recommend staying at the View hotel and villas which are located next to the Monument Valley visitor center. 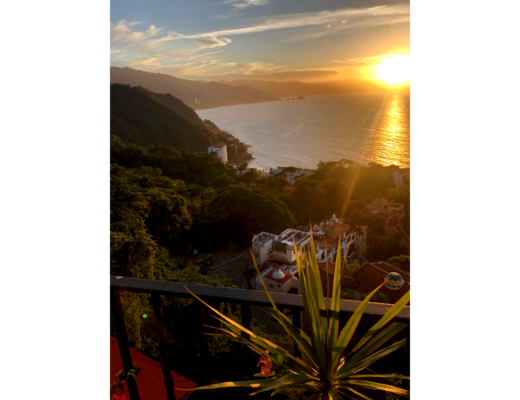 The View had no rooms available when we booked but the close up unobstructed views are truly amazing. The next morning we were at the visitor center by 8 AM, paid our $20 entry fee to the Navajo Nation and drove the 17 mile scenic gravel road around the valley. I will let our pictures describe our tour. On an ending note I will say that throughout our two days on the Navajo reservation we encountered nothing but wonderful, generous, kind and funny members of the Navajo tribe who were happy to share their land and culture with us. In the past few months I had read Bury my Heart at Wounded Knee as well as Killers of the Flower Moon, both rather sobering accounts of our Country’s horrific treatment of its Native People which made me wonder why our news today is so filled with angry white men who really have far less to be angry about than most everyone else in our society. Just a thought. As always, there are more photos, just click the destination photos tab at the top of the page. Next Post Heidelberg Germany, the GlobeTurners' European tour begins.